Welcome to our week long celebration of June being #DairyMonth hosted by From Gate to Plate and Cooking With Carlee. We are putting together our best recipes using cow milk, goat milk butter, cream and cheeses. We can't wait to share them with you. Today is also National Martini Day and Ellen of Family Around the Table invited us to post a Martini recipe to celebrate. 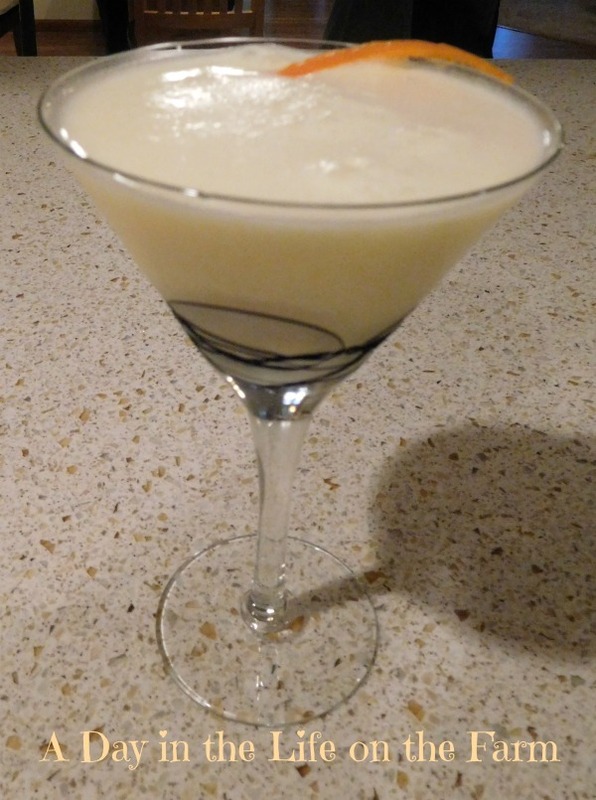 I decided to combine both events by sharing a creamy, smooth, and delicious Orange Creamsicle Martini. Remember those wonderful push-up concoctions you would get when the ice cream truck came around? Well this is the adult version of that refreshing, tasty treat. It is a fast and easy recipe and fun to make and share. It is simply equal parts of orange juice, light cream and vanilla vodka, shaken over ice and strained into a glass. Garnish with an orange peel and toast to the good old days. I served these up as an after dinner drink with friends. I think it would be fun to make a punch bowl of these and float some orange sherbet in it. This would be perfect for a summer shower or brunch. Welcome to #NationalMartiniDay Whether you enjoy your martini with vodka or gin, shaken or stirred, we’ve got some libations for your happy hour. We are going to be sharing Dairy Recipes each day this week. I will be back tomorrow with a Cheese and Spinach Souffle. In the meanwhile, I am sharing the links to the other recipes submitted in celebration of Dairy Month. 50-50 Bars!! Those were my favorite. Okay, I think I need one of these. Immediately. Well...tonight. Right now, it's still coffee time. LOL. Thanks for sharing, Wendy. Dessert in a cocktail glass! I miss creamsicles!! Perfect substitute for grown ups. Thanks Karen...it was the perfect dessert. You're never too old for a creamsicle, especially in drink form! I could really go for one of these right now, it's been a long day! I would love to serve you one up so that you could relax after all your hard work on this event Carlee. Oh my gosh! I was salivating just reading your title. This sounds delicious. I love anything Orange creamsicle. And anything with vodka! 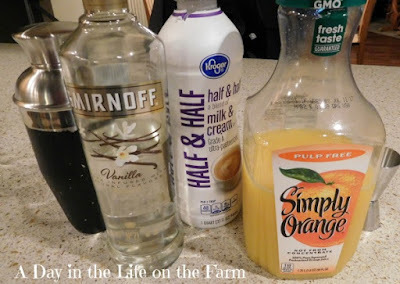 I've never tried vanilla vodka but this recipe makes me want to pay a visit to the liquor store!! You can probably use regular vodka with similar results Paula. No need for a special trip. 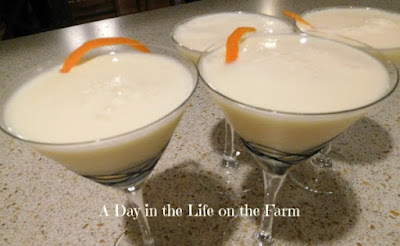 I love how you combined National Martini Day and National Dairy Month all into one great recipe! This sounds delicious and simply sweet. What a great recipe. I love those with portions that are easy to remember. And the flavor you chose is awesome. Can't wait to try it. This sounds awesome! Creamsicles were a favorite growing up, and I still love the flavor combination. Must try! Love the idea of the orange sherbet float. I think I'll add that to my next batch of martinis.